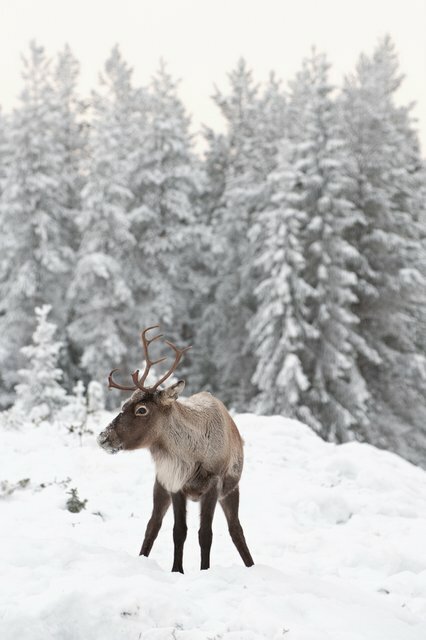 Reindeer herding is an important activity in Lapland (Photo: GettyImages) Lapland is hard to define geographically. The region extends over 400,000 km2 including the north of Norway, Sweden and Finland, as well as the Kola Peninsula, in Russia. This diverse area is called Lapland, but the people are today of different nationalities and speak different languages and dialects. The Saami population (also named Sami or Sámi) is thought to be around 80-135.000 today. Most of them live in Norway, but they are also habitant in Sweden, Finland and Russia. The Saami originated from the Urals in Asia, like so many tribes within North-East Europe. They fled the mountains of Urals and gradually separated through Siberia and scattered, both north to Russia and Siberia, and south to Finland and Norway. They have inhabited the northern Arctic and sub-arctic regions of Fenno-Scandinavia and Russia for at least 5000 years. 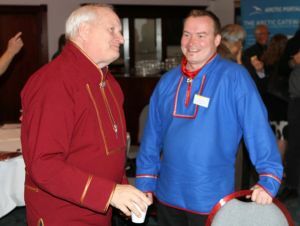 The Saami are counted among the Arctic indigenous peoples and are members of circumpolar groups such as the Arctic Council Indigenous Peoples’ Secretariat as well as running a joint governing organs, the Saami Council and the Saami Parliamentary Council. Reindeer husbandry and fishing have always been important livelihoods for the Saami, who are closely bound to nature, and for whom nature is important. However, many of the contemporary Saami have university education working on the great variety of fields within their country of origin. Sápmi, the Saami Country, includes areas of Norway, Sweden, Finland and Russia. Sápmi starts at the middle of Norway and includes the eastern regions of the Kola Peninsula, the same areas where traditional reindeer herding is still exercised. The blue, red, green, and yellow flag of the Saami flies from the poles in conferences and meetings. The national anthem written by Isak Saba in the early 1900s has made a comeback, although it is rivalled today by new "national yoiks". Traditional reindeer herders clothing (Photo: Hjalti Þór Hreinsson - Arctic Portal)Reindeer husbandry and fishing in particular have been especially significant in shaping Saami food culture. The Saami way of life has traditionally been based on the cycle of nature and the annual cycle, so the nations depending on nature for nutrition had to adapt to what nature offered at different times of the year. The diet of today`s Sámi is composed of both traditional and modern elements. Traditional reindeer meat, fish and berries are still highly appreciated, as are traditional methods and ways of preparation of food. Some well-known Saami dishes are "kumpukset" -- a type of boiled cakes made of reindeer blood and flour, meat soup and fish soup. Even today, dried or smoked reindeer meat remains a popular delicacy and dried fish is also a speciality.